Why offer Softaculous Auto Installer ? Softaculous is used by majority of the datacenters and hosting companies to offer a better and actively developed auto installer to their valued customers. Softaculous allows your users to install, update, backup, restore, clone applications without technical knowledge. Users can browse through a wide range of popular applications and choose the best suitable application with the help of Demos, Ratings and Reviews. Softaculous saves your users time from manual installation and reduces the number of support tickets to request installation of scripts on their hosting account. 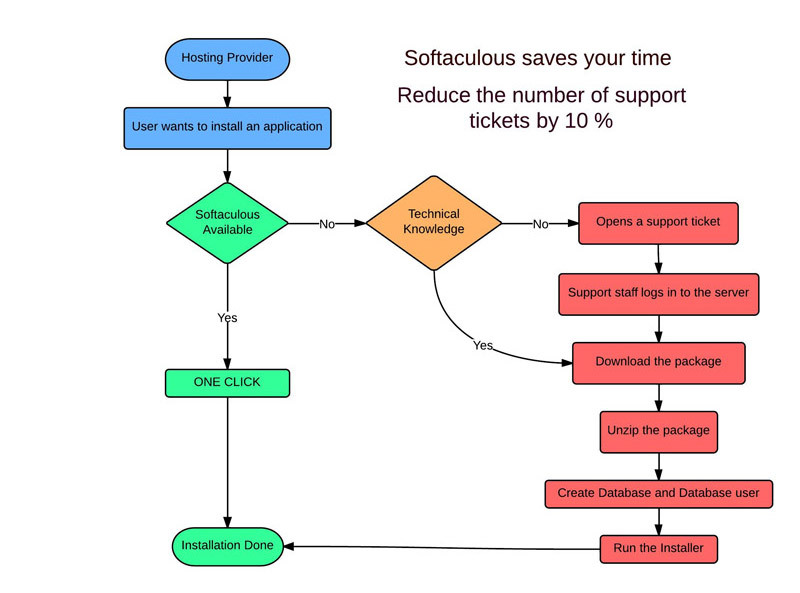 Softaculous will save not only your client's time but will also save your time by reducing the number of support tickets your clients open for requesting application installation. By offering Softaculous you provide your users a huge list of apps to choose from. Your users can select the most suitable app for their project. Softaculous takes care of the complete lifecycle of the application from install to backup to update. Softaculous offers latest versions of applications so that your users install latest and secure apps and your users can upgrade their installations to latest versions. This makes your servers secure and improves branding of your hosting company. Softaculous core is regularly audited by industry experts to make sure your servers are secure. How easy is it to Install Softaculous ? Just execute the following commands as root (3 commands).